Educational Qualifications and Experience of Dr. Sanhita Khot. Dr. Sanhita has an experience of more than 15 years in the field of gynecology and obstetrics. She graduated as a BAMS from the University of Pune and went on to complete her Master of Surgery (Gynaec / Obs) from the same University. She started her career as a medical officer at a maternity hospital in Ahmednagar, where she shouldered the responsibility of running the entire hospital. 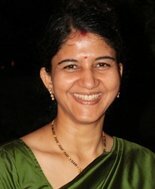 After shifting to Pune, Dr. Sanhita was attached to a reputed maternity hospital at Kothrud, Pune in the role of a main surgeon. She has performed various Gynaec procedures like deliveries, caesarians, D&C, hysterectomy, balloon therapy, marina insertion, etc..
Dr. Sanhita has also completed PGDEMS (Post Graduation Diploma in Emergency Medical Services – affiliated to Los Angeles) from Symbiosis, during her tenure at the hospital, and has handled many emergency gyneac cases. She has completed BLS (Basic Life Support) and ACLS (Advanced Cardiac Life Support) as well. Her quest for knowledge led her to complete DYA (Diploma in Yoga and Ayurveda) from Tilak Vidyapeeth, Pune, and attend various workshops related to her field of expertise. 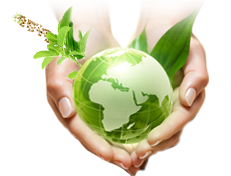 Since 2010 she has started her own Ayurveda consultancy at Bliss Clinic, Pune. She advocates non invasive procedures and believes that Ayurvedic medicines promote well being from within. While she performs Panchakarma for everybody, her specialty is an exclusive Panchakarma for gynaec patients which also includes Uttarbasti. Dr. Sanhita firmly believes in creating a partnership with her patients to develop a holistic treatment for them. She is extremely adept at counseling, and spends lot of time understanding the psyche and history of a patient before prescribing medicines. “Most of the problems people face today are due to an unhealthy lifestyle and stress. Apart from medicines, I also counsel my patients about how to achieve a healthy balance between work and fun." she says. She is a Life Member of Indian Red Cross society.